When was the last time you sat at a coffee shop and slurped down a steaming chai tea latte, surrounded by utter silence? This is because good coffee shops are synonymous with sound. From the low hum of coffee roasters and espresso machines to the indistinct chatter of conversation, melodies are all around us. But the one thing that coffee shop businesses are truly known for is their music, and most coffee shop owners know how important in-store music truly is. Take, for example, Starbucks. You get comfortable chairs, free WiFi, the warming breakfast aroma, and the consistent menu that many are willing to pay a premium for. Their audio identity is also chosen accordingly: soothing enough to allow you to relax and focus on your conversation/work, but not so slow and monotonous that you fall asleep. Their in-store radio is designed this way. Over the years, the coffeehouse genre has developed into a combination of music that is conducive to this type of setting. 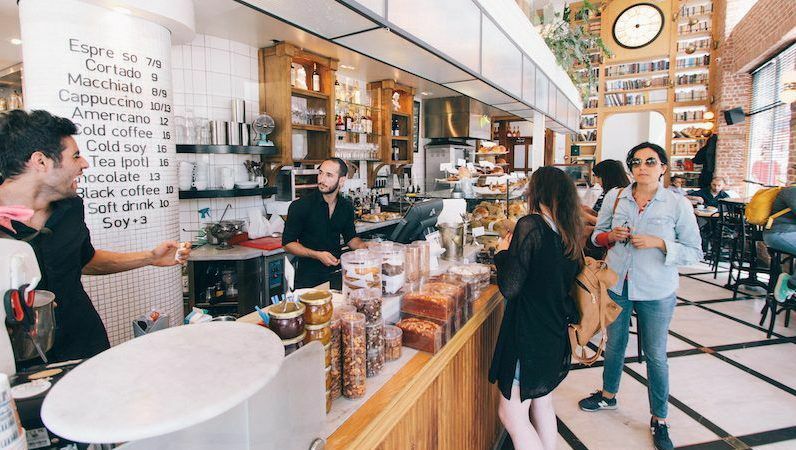 Making sure your coffee shop's unique sound matches your business goals and overall ambiance is crucial to developing a sustainable and cohesive brand. We curate stations with the best coffee shop songs! Whether you’re just opening a coffee shop or you’re ready to make a change to your current café music selection, we’ve got you covered with these top five coffeehouse-inspired Cloud Cover Music stations. Cater to a wide demographic? Our original Coffee Shop playlist has a little something for everyone, for every cup of coffee. 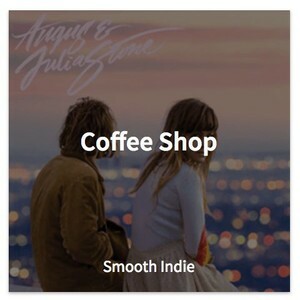 You’ll encounter only the best coffee shop songs – indie tunes like “Marathon” by Tennis, singer-songwriter sounds like “Young” by The Paper Kites and soulful pop tracks like “Strawberry Bubblegum” by Justin Timberlake. 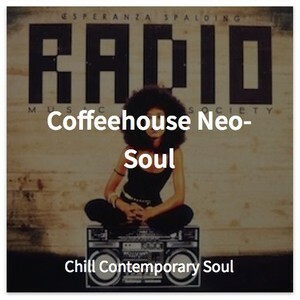 Laidback rhythms and soulful lyrics make for a calming coffeehouse playlist. Groove to slow to medium tempo sounds by contemporary soul and R&B artists such as Alicia Keys, Jamie Lidell, Jordan Rakei, Beyoncé, Leon Bridges, and more. Folk Modern is guaranteed to have both patrons and staff humming along. 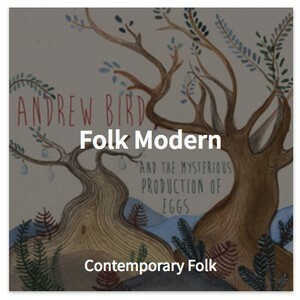 Blending the latest and greatest of acoustic, folk-rock, Americana, and alternative bands, you’ll hear introspective tunes and mesmerizing vocals from the likes of Amos Lee, Mumford & Sons, The Lumineers, Xavier Rudd, and Bon Iver. Let’s face it: coffee shop businesses and relaxing instrumentals go hand in hand. If you want to bring a peaceful atmosphere to your business, our Classical Morning playlist boasts soothing sounds from renowned composers like Bach, Chopin, Mozart, Brahms, and Debussy. Hipster crowd frequent your establishment? 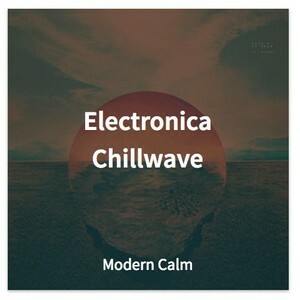 Our Electronica Chillwave playlist is exactly what you need. Patrons can relax to a soothing combination of ambient and chillwave electronic tracks such as “Emkay” by Bonobo, “A Walk” by Tycho, and “Fantasy” by DyE. Ready to create the ultimate coffee house music playlist? Cloud Cover boasts over 100+ curated stations so you can create the atmosphere and songs you want. Try us for free today and see why thousands of businesses trust us for their streaming music solution.